I love to assist and welcome my tenants. You are not just renting a condo, you are experiencing our hospitality! Anything you mind need or have questions with, we will do our best to assist you. The owner was a pleasure to work with. We enjoyed our stay. We cannot say enough good things about this Property, or our very gracious host, Mia. Upon arriving, after a 500 mile drive from Utah, we had a minor issue with the front door, Mia, even though she had plans for the day, took out the time for us to drive over to show us how to use the keypad...needed a few other small items during our stay, and she responded within minutes. 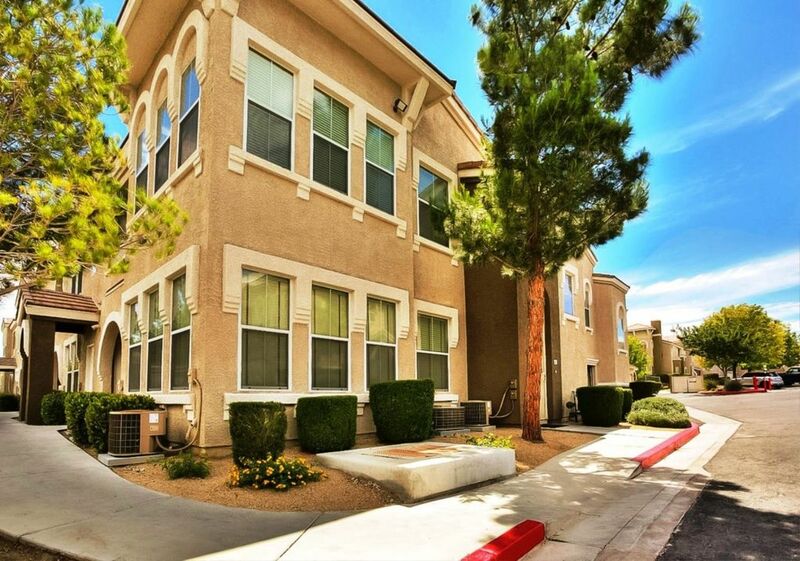 The Property is located in the fairly upscale section of Las Vegas, Summerlin. Nearby, all the shopping centers and restaurants one could want; we planned on visiting more, but even with a 90 day stay, could not visit them all; there is easy, 5 minute away access to the 215 Freeway, and a short walk to the Las Vegas Bus System. Unfortunately, when we inquired as to booking the Property for next winter, Mia told us it had already been rented for the time we requested. All in All, a very pleasurable experience, and, if we get the chance, we would rent Mia's Property again in a New York Minute. Place is great, Mia is a wonderful landlord. We rented because of a corporate move and have done this process of finding a furnished place 8 times now with that many Corp moves. If yiou are looking for a safe, compfortable place with an owner who cares sign up now as these places in Las Vegas are hard to find. Really nice townhouse and complex in a very convenient location. The grounds are well kept, safe and quiet. There is a nice community pool, hot tub and gym on site. The complex is literally down the street from numerous restaurants, grocery, target, shopping, hair salons, yoga studios, LVAC, kids’ activity centers, doggie daycare and the 215. The apartment itself has comfortable furnishings, plenty of pantry items, home goods, elliptical machine and a washer and dryer in the unit. The ONLY reason I give four stars instead of five ( I would have given 4 1/2 if I could have) is because you have to walk up a flight of stairs and you don’t have access to a garage. However, the parking is just a few feet away and is covered. No big deal since the weather is mild. My dad really enjoyed his stay here! Mia is a gracious hostess.